How do we know we know things? Do all the problems of philosophy disappear when we simplify things? Lawmakers blame philosophy for recent spate of trolley deaths. Humor! And yet maybe we should think about the propriety of flippantly talking about flipping the switch in life-and-death cases. Crazy Epistemology. 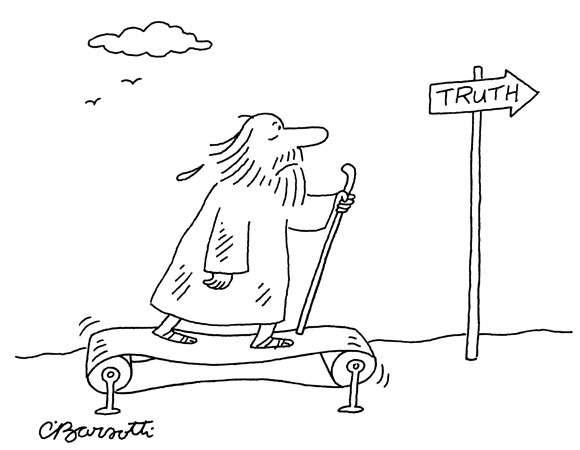 Some pretty good philosophical cartoons from The New Yorker.